Today’s world is at an inflection point when it comes to technology. You’ve likely heard by now of the McKinsey study, which suggested as many as 800 million jobs worldwide could be lost to automation by 2030, with the accounting industry set to take one of the biggest hits. 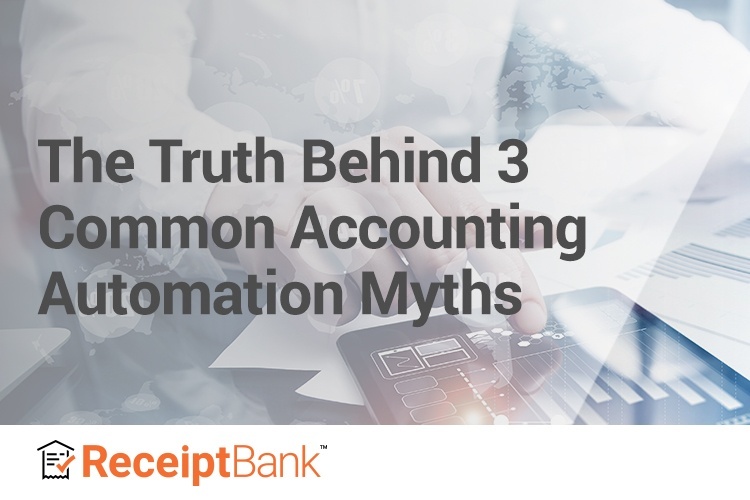 The truth is that accounting automation is helping firms grow even more successfully. Recent research from Xero shows that firms who advocate the use of digital processes and apps grow four times faster than their traditional counterparts. With so many misconceptions surrounding automation, it’s no surprise that many accountants tend to be tech-averse. Instead of resisting automation, we’ll discuss three reasons why you should embrace it. It’s important to recognize that embracing new technology means making a change - in your pricing, your processes, and your client relationships. But while many assume that automation will have a negative impact on their client relationships, the truth is quite the opposite. Now, more than ever, small business owners want to work with accountants and bookkeepers because of the technology that they have embedded within their services. Traditionally, accountants and bookkeepers spend hours each week chasing clients for receipts or invoices and doing manual data entry. This can quickly put a strain on client relationships. At Receipt Bank, we are on the cutting-edge of developing technology that makes this pre-accounting process effortless. The days of boring and tedious data entry tasks are behind us! By automating the data collection and entry process, our partners save an average of one hour per client per week, giving you more time and more opportunity - opportunity to grow your business, leave early on Fridays, take on more clients, offer new value-added services, or simply raising the quality of your service. Your clients are at the heart of what you do and so it only makes sense to take them into consideration before making any big changes. What can you do to make the client experience better? Here we’ve identified three ways in which technology can actually improve your relationship with clients for the long term. The Truth: Small business owners and leaders frequently go to accountants for general business advice. Data from a study recently by Xero shows that 65% of small business owners find the advice provided by their accountant very, or extremely, beneficial to their business. If your firm has a technology stack that either gives you better insights into your client’s business, or gives you more time to analyze their business’ performance on your own, then you have the opportunity to offer better business advice. Data entry is a necessary evil, but advisory and business coaching services actually add value for your clients. The study also shows that despite advances in technology, specifically automation and AI, 72% of small business owners will continue to seek advice from their accountant. In a world where so much has gone digital, people actually long for human interaction. Technology alone is powerful, but using technology alongside human capital is where the true opportunity lies. There are still unique things that only humans can do, such as taking an empathetic approach to accounting. Implementing a great technology stack within your firm will allow you to do those things better, creating an even better experience for your clients. The Truth: As a trusted business advisor, you have the unique opportunity to help your clients realize the impact of how technology can transform their own business. The purpose of adopting new technology is to solve a pain point but even so, some clients will still be resistance to change. However, the best way to overcome client resistance is by showing them first hand how the right tool can help them solve the problems they experience every day. For the business owner drowning in documents, show them how they can start going paperless. Take them out for a coffee and use the Receipt Bank app to snap a photo and submit it as an expense. Instantly, your client will see how they can cut down on paperwork, save valuable time, and focus on running their business. No matter what technology you use, it is essential for you to be confident in it and to show how it adds value to the services that brought them to you in the first place. By educating yourself on technological advances and new business apps, you can put new system in place that give you the time and accurate data needed to offer more advisory based services. The Truth: Your clients come to you for a service. So, of course you want to deliver. If that service is bookkeeping or tax preparation, it requires gathering expense information from your clients. When you don’t have an efficient system in place for that, the task of collecting receipts and invoices can easily become cumbersome. Receipt Bank makes that process effortless by eliminating the paper chase and automating the data entry process. This in turn frees up an average of one hour per client, per week for you. How will you spend your new found free time? Consider expanding your firm’s services to include value-added services such as consulting, serving as a part-time financial controller, or business coaching. With this shift, not only will your clients’ lifetime values increase, but you will have established your services as irreplaceable and increase client loyalty. You’re no longer just the persistent voice on the phone chasing down receipts, now you are a trusted advisor who can actually help them grow their business. Plus, the more your clients trust and appreciate your services, the more likely they are to refer you to friends, family, and other small business owners. You have an opportunity to lead the way and fast track your firm to the future. Professionals who can successfully embrace new technology to improve their processes, efficiency and workflows will be able to build a new kind of firm. One based around technology, client service and adding value.